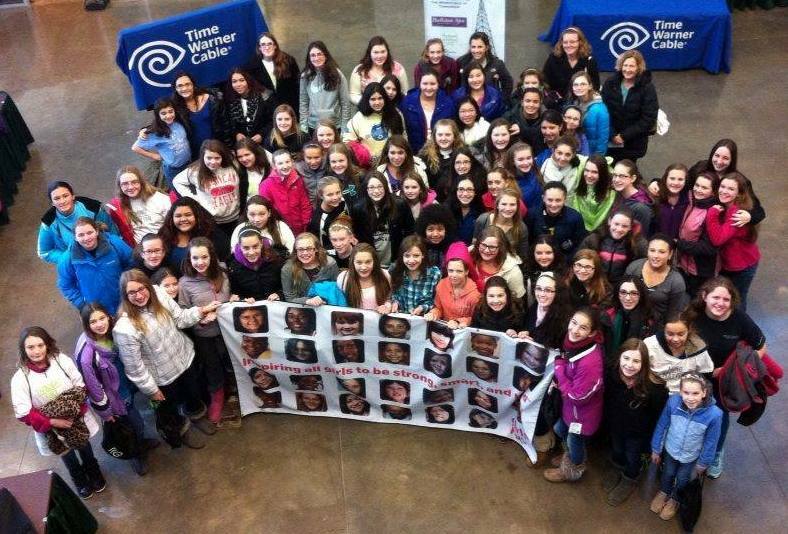 On December 17, Girls Incorporated of the Greater Capital Region welcomed more than 80 Ballston Spa 7th graders (and teachers and staff!) 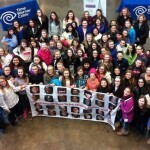 to our 6th Annual Girls’ Summit at HVCC’s TEC-SMART facility in Malta. This event was sponsored by Time Warner and featured STEM-based workshops by TimeWarner, MiSci, and Blue Shield of Northeastern New York. Our signature Girls Inc. workshops such as CSI, Lights, Camera, Action! and Adventure Games were also a part of this exciting day of STEM learning for girls. Over 70 Ballston Spa Middle School girls were given the opportunity to explore, ask questions, and begin to build the skills they need to become the problem solvers of tomorrow at the 6th Annual Girls’ Summit held at TEC-SMART. Working to address the gender gap in science, technology, engineering and math (STEM) fields by exposing girls to fun hands-on STEM based workshops, Time Warner Cable as part of its Connect a Million Minds initiative in partnership with Girls Incorporated offered this unique opportunity for Ballston Spa Middle School girls.